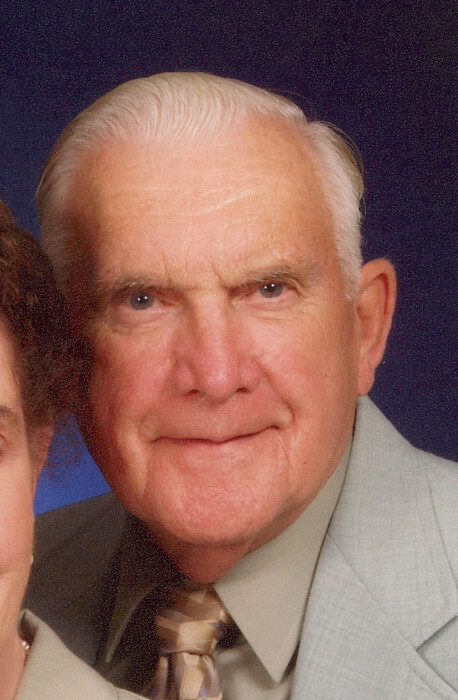 Roy A. Lafontaine Jr. passed away at his home in Milford on January 20th. He was 95 years old. Roy was born to Roy and Hazel Lafontaine on a dairy farm near Morrisville, VT. He was the second of four sons. A few years after his birth, the family moved to Connecticut where Roy was raised and educated. He met his future wife of 76 years, Clara White Lafontaine, when they were in the same third grade class. The two classmates later married on January 6, 1943. Always an American patriot, Roy enlisted in the U.S. Army Air Corp in World War II. He honorably served with the 5th Air Force in the Western Pacific Theater during Macarthur’s campaign to retake the Philippines. His unit served in Australia, New Guinea, the Battle of the Coral Sea, the Philippines, Japan, and Korea. He proudly recalled being among the multi-national armed forces personnel who witnessed the formal surrender of Japan aboard the USS Missouri in 1945. Following the war, Roy and Clara returned to Massachusetts where he continued his federal service career with the Department of the Air Force. During the nine years they lived in Holyoke, Roy and Clara had three children, Doreen, Roy III, and Walter. In 1954, Roy accepted a re-assignment to Dover Air Force Base in Delaware, and the family moved to Milford in 1955. During his tenure at DAFB, Roy earned numerous citations and awards in his field of avionics maintenance. The awards included the Department of the Air Force’s “Outstanding Civilian of the Year” in 1971, and “Avionics Technician Civilian of the Year” in 1976. Roy ended his 40 plus years of federal civil service in 1981 as the Supervisor of Avionics Maintenance. Roy was devoted to his family, and committed to service activities and organizations in Milford. He was a member of Christ Episcopal Church, Temple Lodge #9 A.F. &. A.M., the Odd Fellows, Milford Lions Club, and the VFW. He is survived by his wife, Clara White Lafontaine, and three children; Doreen L. Raub and her husband John, Roy A. Lafontaine III and his wife Susan, and Walter H. Lafontaine and his wife Nancy. Roy is also survived by 8 grandchildren and 12 great-grandchildren. The family will receive visitors at Christ Episcopal Church, 200 North Church St., Milford, DE 19963, on Saturday February 2nd at 1:00pm, with a memorial service at 2:00pm. A food and wine reception will follow the service in Baker’s Hall. In lieu of flowers, donations in his name may be made to Christ Episcopal Church and/or Camp Arrowhead Capital Fund, 35143 Homestead Way, Lewes, DE 19958.